Introduction Atrial fibrillation (AF) is one of the leading causes of cerebrovascular mortality and morbidity. Oral anticoagulants (OACs) have been shown to reduce the incidence of cardioembolic stroke in patients with AF, adherence to treatment being an essential element for their effectiveness. Since the release of the first non-vitamin K antagonist oral anticoagulant, several observational studies have been carried out to estimate OAC adherence in the real world using pharmacy claim databases or AF registers. This systematic review aims to describe secondary adherence to OACs, to compare adherence between OACs and to analyse potential biases in OAC secondary adherence studies using databases. Methods and analysis We searched on PubMed, SCOPUS and Web of Science databases (completed in 26 September 2018) to identify longitudinal observational studies reporting days’ supply adherence measures with OAC in patients with AF from refill databases or AF registers. The main study endpoint will be the percentage of patients exceeding the 80% threshold in proportion of days covered or the medication possession ratio. Two reviewers will independently screen potential studies and will extract data in a structured format. A random-effects meta-analysis will be carried out to pool study estimates. The risk of bias will be assessed using the Newcastle-Ottawa Scale for observational studies and we will also assess some study characteristics that could affect days’ supply adherence estimates. Ethics and dissemination This systematic review using published aggregated data does not require ethics approval according to Spanish law and international regulations. The final results will be published in a peer-review journal and different social stakeholders, non-academic audiences and patients will be incorporated into the diffusion activities. To our knowledge, this will be the first systematic review and meta-analysis on real-world secondary adherence to oral anticoagulant medication studies using databases and registers. Our review will be carried out according to a standardised methodology, with a thorough literature search and study selection, data extraction and risk of bias assessment performed independently by two researchers. The limitations of this review include the restriction to certain sources (databases and registers), no prevision of contact with authors to complete or clarify some results (including the possibility of duplicates) and language bias. Further limitations may also arise from the high methodological heterogeneity of adherence studies that may impede the meta-analysis of some results. In the last decade, many non-vitamin K antagonist oral anticoagulants (NOACs) that directly inhibit thrombin or factor X have been marketed, such as dabigatran, rivaroxaban, apixaban or edoxaban. Pivotal clinical trials,9–12 several meta-analyses13–16 and real-world studies17–21 have shown NOACs not to be inferior to VKA in the prevention of thrombotic stroke, and with a lower risk of intracranial haemorrhage. Additionally, NOACs have a more foreseeable pharmacokinetic profile and can be used in fixed doses without needing periodic monitoring. This last feature, which apparently overcomes some of the VKA inconveniences, has been highlighted as a matter of concern for suggesting that a lack of frequent monitoring could reduce adherence over time in clinical practice.22–24 Another ‘disadvantage’ of NOACs, their higher price (or out-of-pocket costs) compared with VKA, could also contribute to a lower adherence in deprived patients. It should be noted that adherence to OAC is strongly associated with lower mortality and morbidity,25 26 but unlike VKAs, which have a long half-life and keep patients who stop treatment for a few days at reduced risk of thrombotic events,27 NOACs have a short half-life and the impact of treatment gaps could be worrisome. Partly because of this concern, since the release of the first NOAC several papers have tried to estimate the adherence to one specific OAC, to compare adherence between two or more OACs, to identify factors associated with OAC non-adherence, to estimate the impact of non-adherence on clinical effectiveness and cost-effectiveness or to assess the effectiveness of interventions to improve OAC adherence.17 28–31 Before NOACs, there were very few studies on OAC adherence, maybe because the main research interest with VKA was INR control rather than adherence. To date, OAC adherence studies have used various designs (clinical trials, prospective and retrospective cohorts, cross-sectional) and measurement methods such as self-reported adherence (either directly or through adherence questionnaires), pill count (manually or using ‘smart’ containers that conserve or transmit information when they are opened) and prescriptions filled, using refill databases (primarily designed for billing dispensed drugs to the public or private insurers32) or AF registers. Primary or secondary adherence studies (see box 1 for definitions) with refill databases have been favoured in recent years because health organisations have extensively introduced common or interoperable health information systems accompanied by a unique patient identifier allowing the storage, retrieval and transmission of huge amounts of administrative and clinical data, including prescription and dispensation data. Information on the drug dispensed (usually a claim for reimbursement containing information about medication, dose, dates and quantities supplied) is of very high quality.37 However, information on doctors’ prescriptions is often absent from these databases, except in integrated healthcare organisations. This is a relevant aspect because the concept of adherence refers to the ‘extent to which patients take medications as prescribed by their healthcare providers’ 38 and in the absence of doctors’ prescription information, refill databases do not capture patients who do not fill any prescription or consider non-adherent those patients for whom their doctor for whatever reason discontinued the prescription. The number of days of medication supply between an identifiable index date (first prescription filled or not) and the end of follow-up due to death, loss of continuous health plan coverage, censoring or end of study date. Secondary adherence is quantified through ‘days’ supply’ measures, as proportion of days covered (PDC) or medication possession ratio (MPR), which use the days covered by the medication dispensed as the numerator, and the days of follow-up as denominator. Many studies apply thresholds to these days’ supply adherence measures to classify patients as adherent (typically patients with PDC above 80%) or non-adherent. Secondary non-adherence usually refers to the proportion of patients with PDC or MPR below 80%. Gap in the refill of the succeeding prescriptions of the same drug or the same drug class. In persistence analyses, a non-permissible discontinuation gap implies the end of follow-up. In studies assessing adherence through days’ supply measures, a discontinuation implies periods of non-adherence but not necessarily the end of the follow-up. A fixed period (eg, 12 months) for following up patients when using days’ supply adherence measures. Some studies, especially those that combine persistence and adherence, follow up patients until discontinuation (typically until the last refill in the study period) and in this review are defined as ‘variable follow-up time window’ (although in some studies they are defined as ‘prescription based design’). Periods without information on drug dispensation. Immeasurable time refers mostly to periods under hospitalisation (both acute and long-term care) because in-hospital dispensation is not usually available in refill databases. The date defining the start of follow-up for measuring adherence. Most studies use the date of the first filled prescription, but in some cases it may be the date of the first doctor’s prescription (whether or not it is filled by the patient) or another (eg, the date of hospital discharge after a stroke in studies of secondary prevention with oral anticoagulants). Period of time preceding the index date used to define the baseline characteristics, including previous experience with the treatment of interest. Studies restricting inclusion to patients without a claim on the drug (or the drug class) of interest during a certain lookback period. These patients are defined as new users or incident users. Patients with a previous claim on the drug (or drug class) under study in the lookback period are defined as prevalent users or experienced users. Time between treatment initiation (usually the first refill of a new treatment) and a predefined permissible discontinuation gap in the refill of the succeeding prescriptions of the same drug (or drug class). Gaps can be defined as time units (eg, 1 month) or refills (eg, two prescriptions not refilled) and results are usually presented as a percentage of persistent patients in a defined time period. The complementary (non-persistence) refers to patients who fail to refill one or more succeeding prescriptions (according to the definition of permissible discontinuation gap) and is usually expressed as a percentage of non-persistent patients in a defined follow-up period. Filling the first prescription of a new treatment for incident users. The complementary (primary non-adherence) is the failure to fill the first prescription. Measures whether or not the patient refills drugs as prescribed during a defined observation period (some authors limit secondary adherence to patients who previously filled their first prescription). Accumulation of medication at home. In refill databases, this term is used when patients fill more medication than that specified in their prescription. Studies assessing adherence usually allow a maximum number of days’ supply to be stockpiled. Nonetheless, several observational studies have been carried out in recent years to estimate OAC primary and secondary adherence in the real world by using pharmacy claim databases or AF registers. Many of these studies—especially for NOACs—show high persistence and adherence figures, sometimes being higher than those obtained in clinical trials. Due to the characteristics of most of the refill databases (usually with data limited to filled prescriptions but without information on doctors’ prescriptions), the lack of standardised methods,32 39–45 and the potential occurrence of several biases (requiring one or more prescriptions filled as inclusion criteria, mixing prevalent and incident users, different follow-up for drugs in comparison, censoring switchers and other),46–48 the results of these studies may be overestimating adherence to OACs, leading to a false idea that some OACs—NOACs particularly—have an intrinsically guaranteed high adherence, forgetting the complex conceptual framework in which adherence develops in all treatments for chronic diseases and maybe neglecting clinical attention to this important driver of drug effectiveness. The aims of this systematic review and meta-analysis are: (1) to describe secondary adherence to OACs, both VKAs and NOACs, in patients with non-valvular AF (NVAF) in a real-world setting; (2) to compare secondary adherence between OACs in routine clinical practice through systematically reviewing and synthetising available observational evidence from claim databases or AF registers and (3) to analyse potential biases in OAC secondary adherence studies using databases, and their impact on days’ supply adherence estimates. This protocol follows the Preferred Reporting Items for Systematic Reviews and Meta-Analyses Protocols (PRISMA-P) statement49 50 (see PRISMA-P checklist in online supplementary file 1). Any updates to the study protocol will be uploaded onto the PROSPERO Register and listed as online supplementary information in the final manuscript. Questions addressed include: (1) what is the secondary adherence to OAC according to days’ supply measures in the real world? (2) Are there differences in days’ supply adherence measures between OACs (warfarin, acenocoumarol, phenprocoumon, fluindione, dabigatran, rivaroxaban, apixaban and edoxaban) in the real world? (3) What is the impact of adherence measurement biases on days’ supply adherence estimates? Adherence to medications is a general concept that includes different dimensions (compliance, primary adherence, secondary adherence, discontinuation, persistence and others), different operational measures that in many cases refer to different situations and different taxonomies.44 51–55 Box 1 includes a definition of the most relevant concepts as used in this review, which will focus on the assessment of secondary adherence quantified through days’ supply measures such as the proportion of days covered (PDC) or the medication possession ratio (MPR). We will include studies focusing on patients with NVAF aged 18 years and older, both men and women, with at least one OAC prescription, filled or not. Because cardioembolic prevention in NVAF is the main reason for using OACs and almost all of these patients are over 40 years old, it will be assumed that studies that do not specify age or diagnosis are mainly composed of adult patients with NVAF (although this aspect will be considered when assessing the quality and risk of bias of the studies reviewed). Studies on venous thromboembolism including both deep vein thrombosis (DVT) and pulmonary embolism (PE), thromboprophylaxis in lower limb surgery and other possible reasons for OAC treatment will be excluded. To be included in the systematic review (study eligibility), studies must meet all of the following inclusion criteria: (1) Longitudinal observational or cohort studies; (2) assessing adherence to any marketed VKA (warfarin, phenprocoumon, acenocoumarol, fluindione) and/or NOAC (dabigatran, apixaban, rivaroxaban, edoxaban); (3) using prescription and/or dispensation databases (real-world data) to estimate adherence reported as PDC or MPR with at least six follow-up months; (4) With adult patients diagnosed, totally or mainly, with NVAF; (5) with a minimum sample size of 1000 patients; (6) published in English, French, German, Italian, Portuguese or Spanish. Studies must also not meet any of the following exclusion criteria: (1) clinical trials, including pragmatic trials, experimental or intervention studies, cross-sectional studies and time series studies; (2) studies reporting only information on compliance with guidelines, primary adherence, treatment persistence or medication discontinuation, time in therapeutic range or INR control; (3) studies using questionnaires (such as the Medication Adherence Questionnaire, the Morisky Medication Adherence Scale, the Brief Medication Questionnaire or similar) or self-reported declaration for measuring adherence; (4) studies in populations mostly diagnosed with DVT, PE, lower limb surgery or any other reason for OAC treatment different from stroke prevention in patients with NVAF; (5) sample size smaller than 1000 patients or with results reported for fewer than 6 months of follow-up; (6) published in languages other than English, French, German, Italian, Portuguese or Spanish; (7) editorials, letters to the editor (except those reporting original information about OAC adherence), reviews and comments. However, these studies will be used to search for potential papers that meet the inclusion criteria. Patient adherence to any OAC therapy measured using PDC or MPR. The systematic review will include descriptive studies assessing adherence to only one OAC without control groups or comparators, studies assessing adherence to only one OAC but comparing several cohorts with different characteristics (eg, new and experienced users) and comparative studies assessing adherence between different OACs in the same cohort. Studies using databases or registers with data on outpatient prescription and/or outpatient dispensation of OACs, without restriction of countries, health systems or health organisations. PDC and MPR are the most widely used days’ supply secondary adherence measures. MPR is defined as the sum of the days of supply for all prescriptions filled of a given drug in a particular time period, divided by the number of days in this time period. PDC is a slightly more conservative measure, similar to MPR but changing ‘the days supplied in a given period’ by the days ‘covered’ by medication (so that PDC cannot exceed 100%, as opposed to MPR, although MPR is usually capped when it exceeds 100% and in practice both measures give very close estimators).56 Both MPR and PDC are usually presented as a mean value (with their corresponding SD) during a certain period (eg, 12 months), or as the percentage of patients that exceed the 80% coverage threshold (MPR80, PDC80) that, even without empirical evidence in the case of OAC,57 is used by most authors as a threshold of optimal adherence. The primary study outcome is MPR80 or PCD80 (indistinctly) at 12 months of follow-up from the index date (usually the date of the first prescription filled). The secondary outcomes are: (1) mean MPR or PDC, indistinctly, at 12 months of follow-up from the index date; (2) MPR80 or PDC80, indistinctly, at 6 months of follow-up from the index date; (3) Mean MPR or PDC, indistinctly, at 6 months of follow-up from the index date. Both primary and secondary outcomes will be described as adherence proportions (between 0 and 1), so we will transform results presented as percentages (between 0 and 100) into proportions, and results presented as ‘non-adherence’ into its complementary. Although both measures can be calculated in different ways, and thus, similar values can refer to very different degrees of adherence, both PDC and MPR will be used as calculated by the authors of the corresponding studies. We searched the PubMed database (completed in 26 September 2018) using the sentence ‘(oral-anticoagula* OR ‘Vitamin K antagonists’ OR ‘new oral anticoagulants’ OR ‘Direct Oral Anticoagulants’ OR ‘Non-Vitamin K antagonists’ OR VKA OR NVKA OR NOAC OR DOAC OR warfarin OR acenocoumarol OR phenprocoumon OR fluindione OR dabigatran OR rivaroxaban OR apixaban OR edoxaban) AND (atrial fibrillation OR NVAF) AND (‘real world’ OR observational OR cohort OR retrospective OR database OR registr*) AND (adherence OR MPR OR PDC OR ‘medication possession ratio’ OR ‘proportion of days covered’ OR persistence OR compliance)’. We also conducted complementary searches using similar terms in SCOPUS and the Web of Knowledge (see online supplementary file 2). 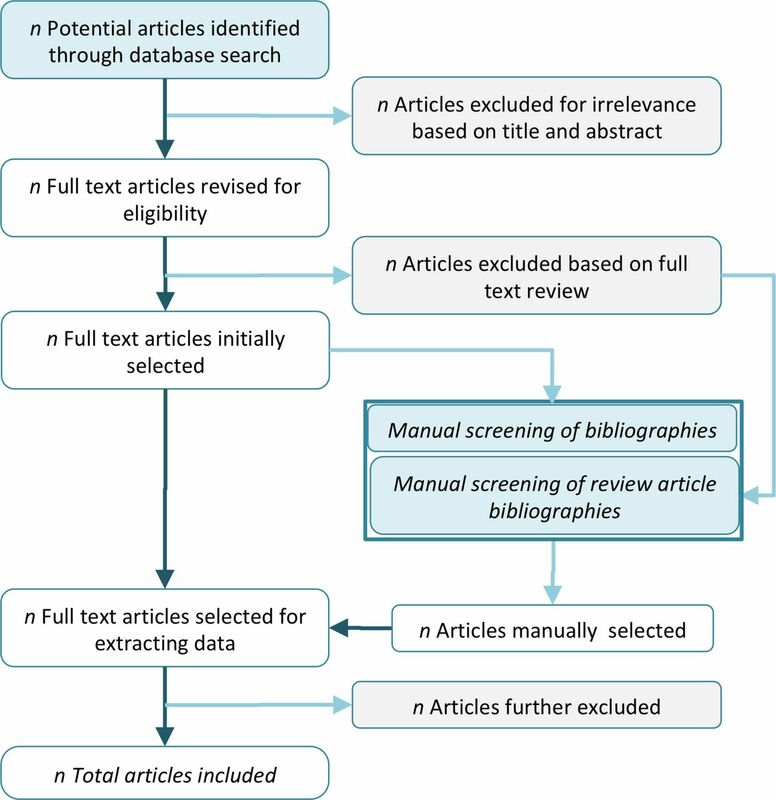 Bibliographies of identified papers and previous systematic or narrative reviews on OAC adherence will be reviewed for any extra papers (see figure 1 for a PRISMA flow diagram of identification, screening, eligibility and inclusion studies). No restriction will be placed on the search for publication date or language, but we have foreseen the exclusion of papers published in languages other than English, French, German, Italian, Portuguese or Spanish. PRISMA flow diagram of identification, screening, eligibility and inclusion studies. PRISMA, Preferred Reporting Items for Systematic Reviews and Meta-Analyses. First, two authors working independently will screen the titles and abstracts of all retrieved papers for inclusion or exclusion. If any disagreement arises, it will be solved by consensus and, if necessary, with input from a third author. Second, the full text of all studies selected in the previous step will be accessed and screened for fulfilment of inclusion and exclusion criteria following the same process of independence between authors and consensus in the case of disagreement. Data extraction will be performed independently by two of the authors. If any disagreement arises, it will be solved by consensus. We will use a structured form in Microsoft Excel to include: study identification and characteristics (author and year of publication, sources of funding, country, databases used, study design, cohort enrolment period, index date, follow-up period and drugs included), characteristics of the population (inclusion and exclusion criteria, sample size, mean age, percentage of women, risk of stroke assessment scores such as CHADS₂ or CHA₂DS₂-VASc scores and major bleeding risk scores such as HAS-BLED), study results (PDC80 and/or MPR80 at 12 and 6 months, and mean PDC and/or MPR at 12 and 6 months), methodological and study quality issues (bias assessment, conflict of interest, methods for estimating days’ supply measures) and comments. The general study quality and risk of bias will be assessed using the Newcastle-Ottawa scale (NOS) for observational studies58 that uses a score from 0 (low quality) to 9 (high quality) stars. We will subdivide this score into three groups of low (0–3), medium (4–6) and high (7–9) quality. Conflict of interest will be considered present, using a strict definition, if a study was funded by a company owner (or anyone participating in its commercialisation) of any of the drugs included in the corresponding study, or if some of the study authors were employees of one of those firms. We will also consider an expanded definition of conflict of interest if at least one of the authors declares some type of conflicting relationship with one or more of the firms who market any of the OACs included in the systematic review. Adherence studies with databases must take into account certain specific elements with regard to the selection of patients, the construction of adherence measures and the analysis, in order to reduce the risk of bias in obtaining adherence estimators or comparing adherence among different drugs, which is not well captured by generic quality scales. According to the aims of our study, we are particularly interested in identifying to what extent the management of each one of these elements can affect the values of adherence as quantified by days’ supply measures, and the comparison of the days’ supply measures between different OAC. Note that problems detected for the purposes of our systematic review may not be quality problems in the context of the study evaluated. Thus, a study whose objective was to evaluate the impact of adherence on clinical outcomes can reasonably use a design according to this objective (eg, selecting a sample of highly adherent patients), which, however, would overestimate adherence as compared with that of the general population of patients under OAC treatment. Although there are some checklists for adherence studies,40 59 60 they mainly check formal aspects rather than the methodological flaws that can alter the days’ supply measures, and there is little consensus on their use. We will therefore assess aspects that could modify MPR or PDC values (or limit their generalisation to the general population of patients with NVAF) according to a series of items developed expressly for this study (tables 1 and 2). The methodological adherence item list (table 1) will be used in all selected studies, while the methodological comparative adherence item list (table 2) will be used additionally in comparative studies. In online supplementary file 3, we explain the rationale for selecting these specific items and the expected impact of each methodological flaw on days’ supply adherence measures. No patients were involved in setting the research question, the project design or the overall conduct of the study. At the moment there are no plans to involve patients in the dissemination of study findings, but different social stakeholders, non-academic audiences and patients will be incorporated into the diffusion activities if the study results show a potential to improve clinical practice. These tasks will be developed in coordination with the media unit of the Fundación para el Fomento de la Investigación Sanitaria y Biomédica de la Comunidad Valenciana, and will have as its target audience the anticoagulated patient associations and the medical societies related to anticoagulant treatment in patients with AF, especially cardiology, neurology, haematology and family medicine. The study will be conducted in accordance with the Declaration of Helsinki, the International Guidelines for Ethical Review of Epidemiological Studies, and the European and Spanish regulations on clinical research and data protection. The study has neither potential military implications, nor any impact on the environment or third world countries. It does not use human cells, embryos, human intervention or animal experimentation. Because of its design, it does not include any type of intervention or randomisation, and it does not imply any additional risk for patients. We do not expect any product susceptible of valorisation and knowledge transfer to be generated by this project. Study characteristics and assessment of quality will be presented in tabular format. Random-effects meta-analyses will be carried out to determine the pooled percentage of patients that exceed the 80% coverage threshold for MPR and PDC at 12 months to all OACs, all VKAs, all NOACs and separately for each OAC with at least four PDC or MPR estimations. All pooled analysis will be weighted by the respective sample size. These analyses will be repeated for each one of the secondary outcomes. The Cochran’s Q statistics will be used to quantify heterogeneity between studies. We anticipate the impossibility of excluding duplicate patients from different studies that use the same databases but in the case that the same database has been used in different studies with overlapping periods, we will carry out a sensitivity analysis including only the study with more patients. We will also carry out a sensitivity analysis according the score of the studies in the risk of bias NOS. Because we anticipate an important heterogeneity between studies (both in the selection of patients, as well as in the construction of adherence measures and in the presence of biases that affect the adherence estimators), we will carry out specific subgroup analyses according to: (1) inclusion of non-NVAF patients in the study versus only patients with NVAF, (2) inclusion of experienced users versus studies with only new users, (3) the requirement to fill at least two prescriptions as inclusion criteria versus only one prescription filled; (4) the use of a fixed time window versus censoring at the last refill to construct the days’ supply measures; (5) censoring switchers versus switch permission; (6) the use of PDC versus MPR as secondary adherence metric and (7) the presence of conflict of interest versus independent studies. If possible, we will perform a separate adherence analysis according to gender although, to our knowledge, very few studies have used a gender perspective in the assessment of secondary adherence with OACs. We will also carry out a meta-regression analysis to assess possible associations between days’ supply measures and chronological year. In recent years, several papers—usually industry funded,61–67 but not always68–73—have shown NOAC adherence figures in patients with NVAF above 80% or 90% for mean PDC or MPR, and proportions of patients with PDC80 or MPR80 above 70%–75%. These figures are higher than current estimates for other drugs for chronic diseases74 or from other independent studies with mean PDC figures around 60%75 or PDC80 below 50%,25 76 raising concerns about a possible overestimation of adherence to NOAC in studies using refill databases. The limitations of this review include the restriction to certain sources (databases and registers), no prevision of contact with authors to complete or clarify some results (including the possibility of duplicates) and language bias. Further limitations may also arise from the high methodological heterogeneity of adherence studies that may not allow the meta-analysis of some results. While several adherence studies seem to attribute adherence results to the intrinsic characteristics of each drug (such as the greater or lesser frequency of adverse effects or the convenience of the dosage), other factors related to the healthcare context, the providers and the patients themselves and their families, present medication adherence in chronic diseases as a complex problem77 and, in the medium and long term, as an important barrier to reaching the outcomes obtained in clinical trials. The oversimplification of the adherence framework and the overestimation of the adherence figures can contribute to giving doctors false confidence that the intrinsic characteristics of a certain drug will be associated with high levels of adherence, limiting their efforts to keep chronic patients under treatment. We expect that the information provided by our review will be of great value in establishing the real adherence to OAC agents, a type of treatment prescribed to 5%–7% of the adult population, and may suggest changes in clinical and organisational strategies to keep up patients’ medication adherence.
. Oral anticoagulants for preventing stroke in patients with non-valvular atrial fibrillation and no previous history of stroke or transient ischemic attacks. Cochrane Database Syst Rev 2005;3:CD001927.
. The Newcastle-Ottawa Scale (NOS) for assessing the quality of nonrandomised studies in meta-analyses. 2014 http://www.ohri.ca/programs/clinical_epidemiology/oxford.asp (Accessed 20 May 2018). Contributors CLR-B, AG-S, SP and GS-G conceived the study. The protocol manuscript was drafted by CLR-B, SP and AG-S, and revised by all authors. CLR-B designed the search strategies and SP and AG-S will perform the search. CLR-B, AG-S, SP and IH will screen studies for inclusion, extract data and assess the risk of bias of included studies. GS-G will arbitrate disagreements between reviewers. CLR-B, AG-S, SP and YS-A will analyse and interpret the data. All authors have provided conceptual and/or methodological expertise. All authors have contributed to the critical revision of this manuscript for important intellectual content. All authors agree to be accountable for all aspects of the work and have read and approved the ﬁnal manuscript. Funding CLR-B and YS-A are partially funded by the Instituto de Salud Carlos III, Spanish Ministry of Economy, Industry and Competitiveness (grant number RD16/0001/0011 cofinanced by the European Regional Development Fund). Disclaimer The views presented here are those of the authors and not necessarily those of the FISABIO Foundation, the Valencia Ministry of Health or any other institution. Competing interests The FISABIO foundation (a non-for-profit research institution depending on the Valencia Ministry of Health) had a Collaboration Agreement with Boehringer Ingelheim to conduct non-conditioned independent research in chronic health care, pharmacoepidemiology and medical practice variation (2013–2014), and received an unrestricted research grant from Daiichi-Sankyo (2017), both not related with the current study. None of the mentioned institutions/firms played any role in this study. Ethics approval This systematic review uses published studies as sources of data and did not include individual patients as study participants, nor individual patient data. Therefore, it does not require Ethics Research Committee approval according to Spanish law and international regulations.